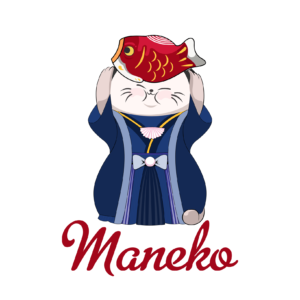 Maneko Japanese Restaurant is a cosy, 30-seater eatery that serves premium Japanese cuisines at super affordable rates. 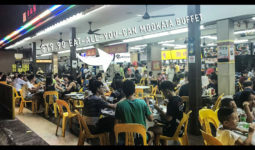 Their menu selections range from udon, sashimi to sushi and dons. Besides these classics, Maneko also sells a GIANT Maki! Stay tune for the video at the end. 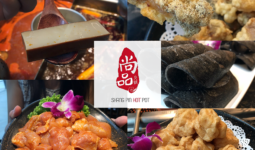 There are 2 dishes in the menu you guys definitely MUST TRY! 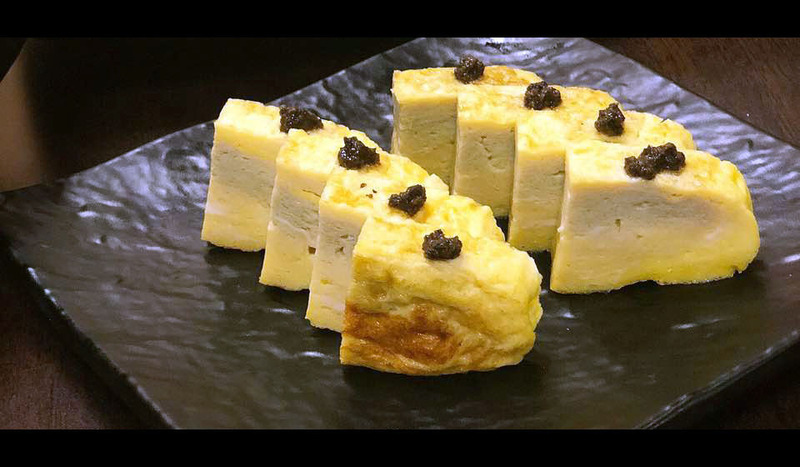 The first one’s their Truffle Tamago; hands down the most decadent Japanese Tamago dish I have ever tasted! I really enjoyed the deep aromatic flavours of the earthy truffles, paired with the sweet tamago omelette. 2nd dish; One of Maneko’s signatures and without a doubt one of the best mentaiko dishes we have ever tried is their Mentaiko Udon (S$11.90). I don’t usually have udon with creamy sauces because these are usually too rich. However, this dish hit all the right notes of cream & umami! 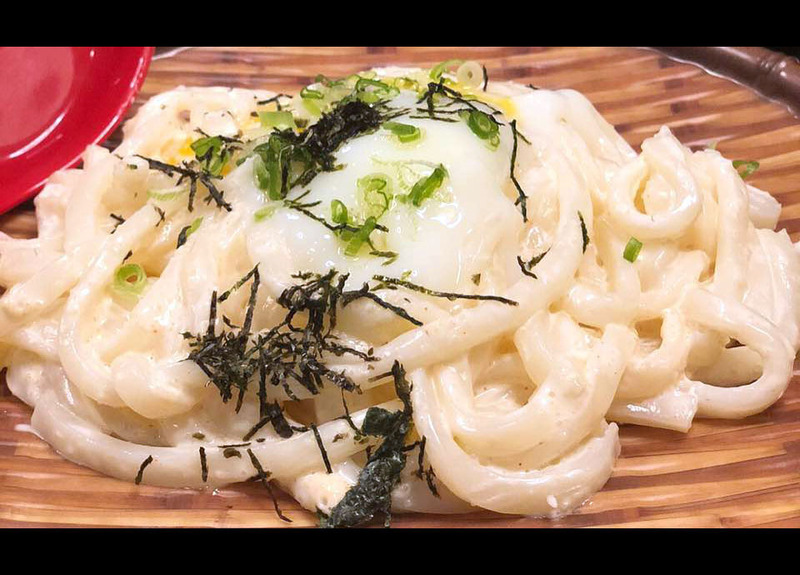 Udon is cooked perfectly, pairing it with the onsen egg is just heavenly! 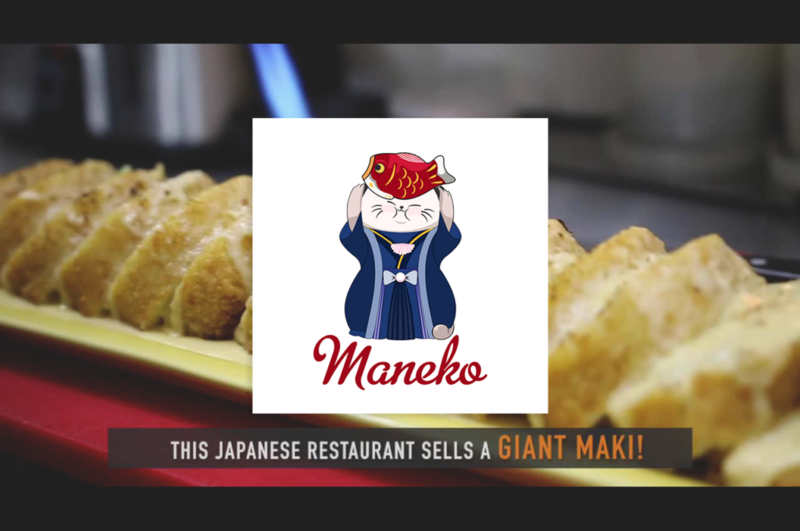 They advertised: Giant Maki – That’s no joke! This maki is 10 times the size of a regular maki. 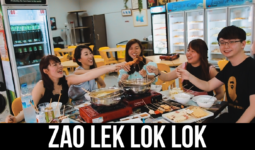 It weighs approximately 2kg and is to be shared among 4 people.